Auburn knew that it would need to have offense all weekend and in the first 2 games it had it…in fact if it weren’t for a slip at 3rd we are talking about a series win for the Tigers. Auburn had that offense in both games on Friday; Arkansas just had more in 15 innings. Auburn also knew they were thin on arms, and then they played 24 innings in a day with another to go. The Tigers showed a lot of resiliency throughout a series that their opponent took 2+ run leads in each game and Auburn stormed back to take a lead in two of those games, Saturday being the exception. The two games on Friday were drama filled ballgames and if you get a chance you should take a look at them, game one especially. Carson Skipper was able to get some solid work in and looked ok in game 2, just had to be stretched a little too thin and Arkansas finally got to him. But Tanner Burns looked good as he tries to work back to the dominate ace he was earlier this season. It should be a tough job though; the 1-9 in an SEC Batting order is like an All-Star team for most of the weekends. The good news to take from this weekend is that Auburn had a legit shot to take the series and dropping the series isn’t the end of the world, not by a long shot. The series sweep of Tennessee and the road series win at South Carolina allowed for some wiggle room. 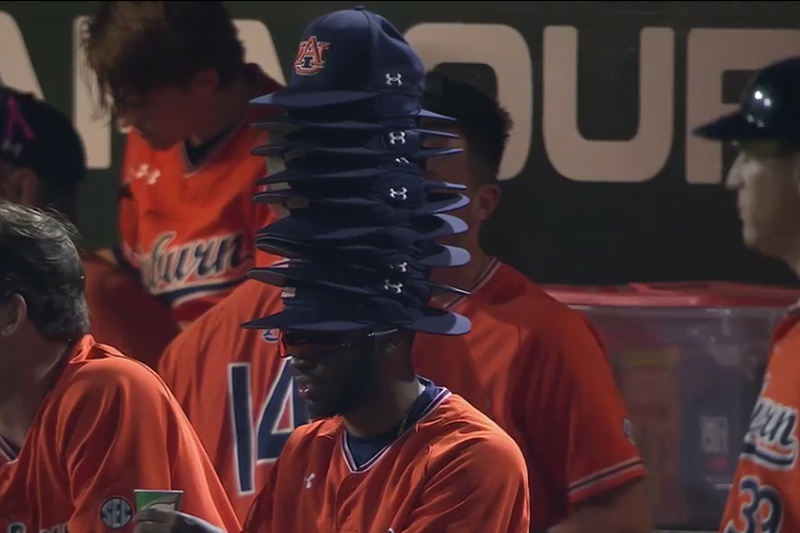 Now however Auburn needs to figure things out, mainly at the plate. So far this season, Auburn struck out 27 times this weekend and had a hand full of at bats that would be considered as non-competitive. That needs to change going forward, especially while the pitching staff finds itself as, hopefully, Jack Owen and Davis Daniel return to the ranks. You saw it on Friday, Auburn was able to get a lead and the bullpen was able to piece it together and hold on for a saving W. You also saw it on Saturday, pitching felt like it needed to be perfect to try and keep the offense in the game and Arkansas piled on. It was a frustrating weekend at the ballpark but still a lot of time to make the adjustments needed to make it right. 24 innings and nearly 9 hours of action. Check out the highlights and read about Friday's action. Ryan Watson has been an interesting story for the Auburn Tigers over his career. As a Freshman, he had all the promise in the world and was a starting pitcher. I can remember him blowing away Georgia Bulldog hitters in Athens and thinking that he and Keegan Thompson are an excellent 1-2 punch. Then something happened and he pulled back from the scene and was rarely used the rest of that season and last season. However an excellent summer in the Cape got him back on track it seemed and he has shown some promise of getting back to that old form. Well for the second straight outing, those thoughts are starting to be confirmed as Watson went 2.2 innings of 1 hit ball with 4 Ks before being lifted. He was able to mix his pitches well and kept the Hog bats off balance just enough as Auburn was able to get back in the game and tie it up under his watch. If Auburn can get Watson going again as a reliable arm along with Elliott Anderson to be able to bridge games to Cody Greenhill, it would be a huge step in the right direction.
.@Ryan_Watson_19 has tossed 2.2 scoreless and matched a career high with four K's for the second straight outing. Saturday was a rough day at the park so we will concentrate on Friday and the player that was hitting the cover off the ball was Conor Davis. Conor has been able to do get more consistent at bats this season and it has paid off tremendously for the offense this season. On Friday, Davis went 5-9 with 2 RBIs and a double. He still hasn’t been able to tap into that power that he has shown before but to be honest Auburn has needed exactly what he has been able to provide, extending innings and being smart on the base pads. Out in front! @edouardjulien7 and @ConorDavis13 start the frame with back-to-back doubles. The home stand comes to an end as Auburn hosts Jacksonville State for a midweeker. Jax State comes in at 16-15 on the year but has won 5 of their last 6 including a home sweep of Tennessee Tech, a Super Regional team from last season. Look for Garrett Wade again to get the start for Auburn as he has seemed to lock down that role for the time being. Following that, Auburn will take to the road once again to take on the Texas A&M Aggies in a pivotal SEC West matchup.